It has been six months since Krux joined the Salesforce Ohana. And, today we are kicking off our fifth Data Matters event with an amazing community of brand marketers, publishers, agencies, partners and employees. We think of this community as Data Trailblazers. This is the idea that, through knowledge and education, we can blaze new trails in our own personal careers, for our customers, and with our colleagues. 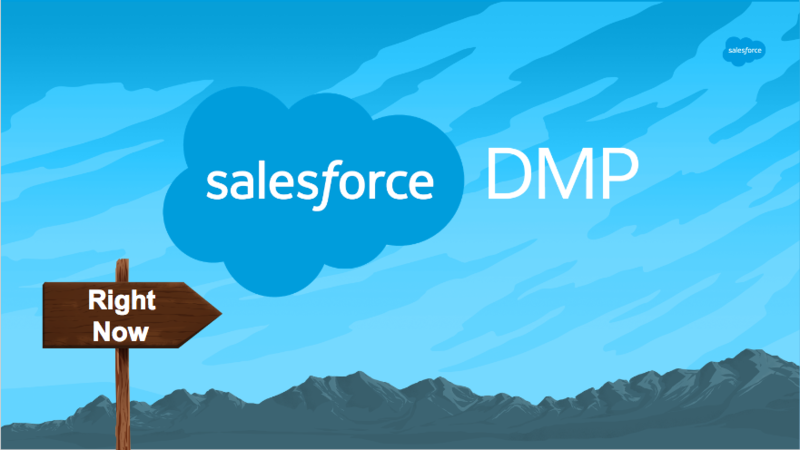 We are also announcing that we are changing our name from Krux to Salesforce DMP. 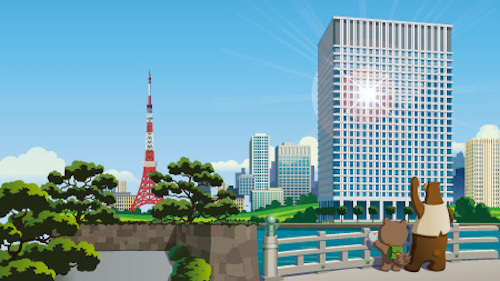 It’s another significant milestone of being part of Salesforce and our future. But before I get into where we are headed, I want to rewind a bit and take a look at how we got here. Many years ago, we wanted Krux to serve as a platform for brands to collect all data from digital interactions across devices and use it to better understand their customers, allowing them to create better marketing experiences. We initially focused our product on publishers because they needed to own the data that drove their business. Back then, third-party data (typically collected from web cookies) was state of the art. However, we knew that first-party data (customers’ email addresses and purchase histories) was where the puck was headed, so we doubled down on it. Krux always included the concept of “people data.” We understood that browsers and mobile devices don’t buy things, people do. Beyond broadening our vision for data management across types of data, we also knew data ownership would be critical to B2C marketers, many of whom don't enjoy a direct connection to their customers (think CPGs). Coca-Cola and other big marketers were betting on one-to-many advertising tactics like Superbowl ads. In addition, we also knew that the DMP needed to power more than marketing. It needed to be part of an intelligence layer that drove richer and more personalized brand experiences across all channels. So, when I am asked, what is the future of DMPs, I say that DMPs will become completely integrated into larger technology stacks offering a layer of data management (for both known and unknown data) for the “right person.” This orchestration layer consists of connected execution systems that seek to answer the “right message, right time” quandary. It also includes an artificial intelligence (AI) layer, which is the “brains” of the operation trying determine how to stitch billions of individual data points together in real time. Krux is now Salesforce DMP — what’s next? 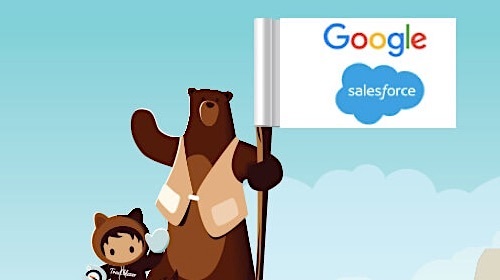 Every month, Salesforce DMP interacts with more than 3 billion browsers and devices, supports more than 200 billion data collection events, processes more than 5 billion CRM records, and orchestrates more than 200 billion personalized consumer experiences. The coming together of the known customer (Salesforce and Marketing Cloud’s wheelhouse) and the unknown, yet-to-be customer (Salesforce DMP’s wheelhouse) is a unique opportunity to bring the best of CRM marketing together with the best DMP. We live in the world of the customer journey, where marketing is much more than ad campaigns. It is every experience a customer has with the brand, and we empower marketers to use data to impact every touchpoint along that journey, all powered by AI. We’ve made tremendous progress in the last six months, continuing to innovate around empowering marketers to connect with customers in entirely new ways. Today, we are excited to announce Salesforce DMP Einstein Segmentation, which allows marketers to use machine learning to discover the multiple distinct personas that exist within their audience. This is a great example of how our data management layer consisting of first, second, and third-party data can feed our growing AI layer to create tangible value for marketers. Thank you to our customers, partners and employees. 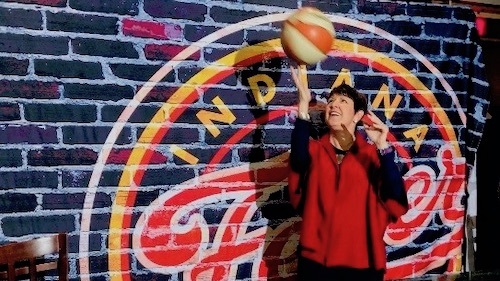 It’s an exciting time to be a Data Trailblazer.